Continuing from my previous post on the subject, a closer look at Catholicism in Japan's popular culture. Only one percent of Japanese consider themselves Christian, less than half that Catholic, making the influence of Catholic culture wildly disproportionate to its demographic presence. Shusaku Endo (1923-1996) wrote about Catholicism in the context of Japanese history. His definitive novel, Silence, details the persecution of the church in the early 17th century. 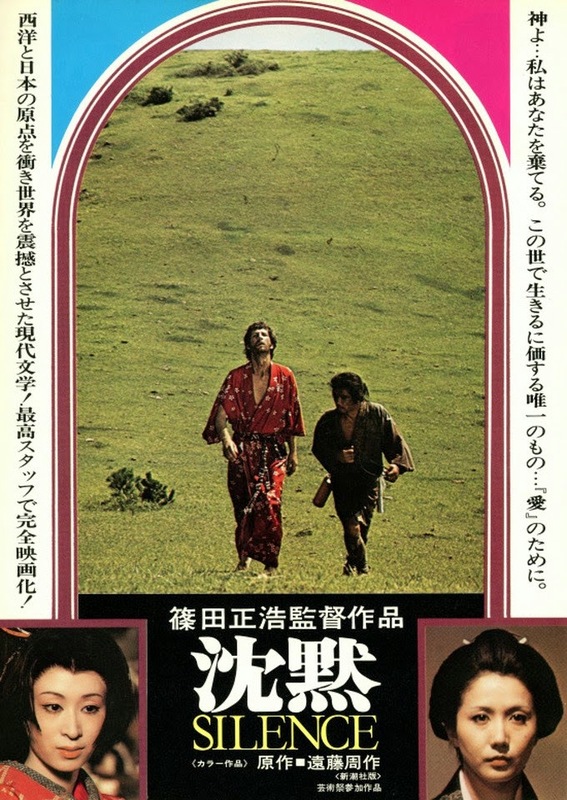 A movie directed by Masahiro Shinoda was released in 1971. An adaptation by Martin Scorsese starring Liam Neeson is scheduled for 2016. Forced deep underground during the Edo period (1603-1868), a dedicated few courageously kept the faith alive for 250 years in the face of fierce persecution. Those days are all bygones. Deputy Prime Minister Taro Aso is Catholic. "Christian"-style weddings are a popular (and less expensive) alternative to the Shinto rite. That includes "Christian" weddings officiated by foreign "priests." Because any gaijin who can dress up and play the part will do. A marriage license is an official document issued by the state; what goes on in the church is legally irrelevant. So setting serious things aside, let's glance briefly at the lighter side of pop Catholic references. I say "briefly" because I can only mention a few of the dozens of titles that qualify. 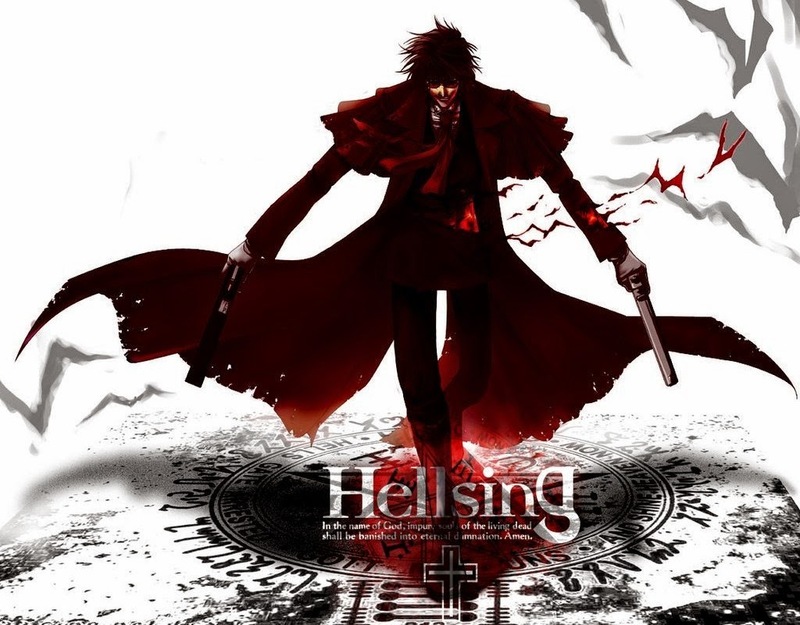 As I mentioned previously, the Inquisitorial arm of the Catholic church in Hellsing and Witch Hunter Robin (among many) functions as a conspiratorial manipulator of events on the world stage, like The Smoking Man from The X-Files or the NSA/CIA in Enemy of the State (and a zillion other Hollywood flicks). Chrono Crusade features the "Order of Saint Magdalene" as a ghost hunting organization. The vampire hunters in Trinity Blood work for a post-modern, post-apocalyptic Vatican. 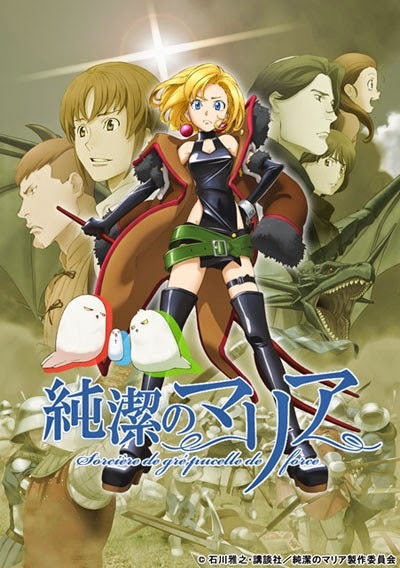 The heroine in Saint Tail is a modern-day Robin Hood whose base of operation is a Catholic church. Haibane Renmei is perhaps the most accessible exploration of Catholic purgatory (or the Mormon "probationary state") in religious literature. Though supernatural genres predominate, there are a few "real life" titles, such as Rumiko Takahashi's One-Pound Gospel, about a boxer kept on the straight on narrow by a Catholic nun. More than theology, which few Japanese (and few Americans) could explain, Catholicism is best known as a setting, namely the Catholic girls school. Based on popular entertainment, you'd conclude that every other private school in Japan is a Catholic girls school. A recent popular example is Maria Watches Over Us. The live action comedy Gomen ne Seishun! ("Saving My Stupid Youth") has a Catholic girls school with slumping enrollment merging with a Buddhist boys school in similar straits. School uniforms matter a lot in Japan, and Gomen ne Seishun! ridiculously dresses the girls up in what look like training habits (click to enlarge). It's not available in the U.S. (though Maria Watches Over Us is). Maybe someday it'll show up on Hulu or Crunchyroll? Really, you'd have to have a heart of stone to get offended at something this silly. A world beset by religious strife calls for even greater faith in the more jocular angels of our nature.